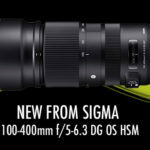 The very popular range of 150-600mm zoom lenses, taking over from the 150-500mm models, has received yet another boost with the Sigma 150-600mm f/5-6.3 DG OS HSM Contemporary (Nikon mount/Canon mount) entering into this market segment, catering for those who are on a tighter budget and cannot justify the expense for a 500mm or 600mm f/4 prime lens, or even the Sigma 150-600 f/5-6.3 DG OS HSM Sport version of this lens. Offering slower maximum apertures typically at f/6.3, these lenses give the enthusiast the perfect alternative to expensive fast prime or super tele-zoom lenses. Priced at around R14,000 from Outdoorphoto at the time of writing this, it is about R10,000.00 less expensive than its more advanced sibling, the Sport version of this lens, and very closely matching the pricing of its main competitor from another third party manufacturer, Tamron. The specifications shown below are as provided by the manufacturers. The Sigma 150-600 C and the Tamron 150-600 are very close in terms of mass and dimensions, with the Sigma 150-600 S being the heavier and bulkier of the three models. Zoom Lock Switch on the left. On the right, top to bottom is the Focus Mode Switch AF/MO/MF, Focus Limiter Switch, Optical Stabiliser Switch, Custom Selector Switch. Also shown to the right of the switch panel is the tripod mounting ring with twist knob for tightening. A Zoom Lock is fitted, which securely locks the lens at 150mm for transport purposes, and can also be set at full 100mm zoom settings to assist in accidentally slightly moving off the required zoom setting. As with the Sigma 150-600 S, I found this to be quite useful. When set at these 100mm intervals it can however be disengaged (except for the 150 lock setting) with a slightly firmer twist of the knurled zoom ring. The zoom ring operates smoothly with an anti-clockwise rotation to zoom from 150 to 600mm. Zoom creep occurs when the lens is pointed down or up with the lock disengaged. Focus mode switch AF/MO/MF: Offers not only the standard autofocus (AF) and manual focus (MF) modes, but also MO which is Manual Override allowing the manual focus ring to be operated even when the focus is on continuous AF mode. How often this will be used remains to be seen, I didn’t find the need to use this feature, but as usual, it’s nice to know it’s there if you need it. An ultrasonic type focus motor that Sigma calls HSM (Hyper-Sonic Motor) for a fast and quiet AF function is standard for this lens. A focus limiter switch is fitted, providing settings of 2.8m – 10m, 10m – infinity, and the full focus range. Also fitted is a special Custom Selector Switch: Using the USB Dock (sold separately, and which basically looks like a rear lens cap with electronic contacts and a USM cable) with the free Sigma Optimization Pro software the user can update the firmware of the lens and add custom settings to his lens setup for AF, OS function and focus range. Different settings can be stored in two memories, C1 and C2. A very sturdy, removable tripod mounting collar is supplied. The lens tightens securely in the collar with the familiar twist knob operation. Mass: Being the lightest in its class the lens is easy to handhold and does not feel such a dead weight when walking long distances in the field carrying it by hand. 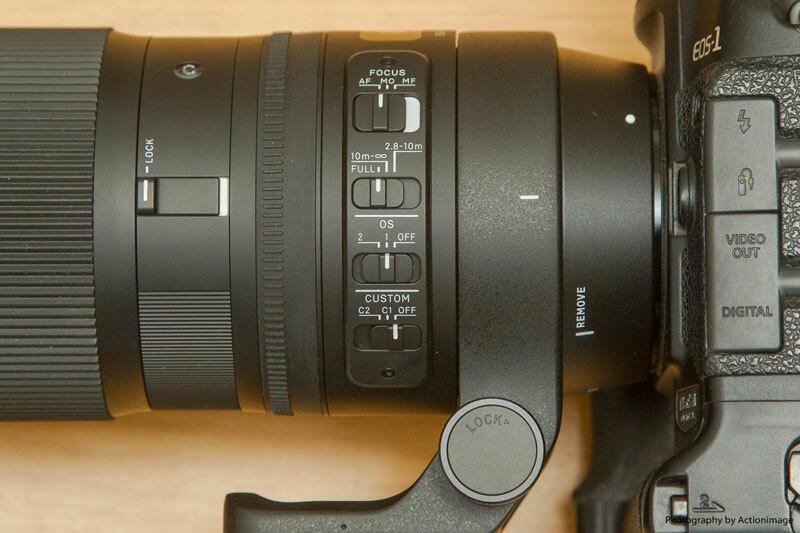 It is almost a full kilogram lighter than the Sigma 150-600 S and just about a 100g lighter than the Tamron 150-600. The lens will still feel a little hefty to those not used to the large tele-zoom lenses. Size: Typical size for a lens of this class; I didn’t find it to be a bulky lens. The plastic lens hood uses a bayonet type fitting and clicks securely into place. In the sturdy cardboard box, the buyer will find his lens with lens caps front and rear, lens hood, padded neoprene carry case and a lens strap. An information sheet which doubles as a user manual with all relevant info and warnings is also provided. I prefer using a monopod with the big lenses when covering sporting events or doing birding photography on foot. The relatively, light weight of this lens didn’t really push me towards using a monopod, although I did use one for some of the testings. Many of my nature shots were taken whilst handholding the lens and relying on the OS to neutralise camera shake when light levels were lower resulting in slower shutter speeds. I found that the OS worked really well, providing at least a 2.5 stop advantage, closer to 3 stops as average. The Blue Crane was taken handheld with OS in mode 1. When not handholding the lens I used it with my “monopod in belt pouch technique” for some added stability resulting in more consistent results at slower shutter speeds. The relatively short minimum focusing distance of 2.8 m is also very handy for those small subjects closer to the camera. The zoom ring was easy to turn and zooming action was very smooth. The zoom lock switch was a welcome feature, locking the zoom at 150mm securely and at increments to prevent accidental zooming, especially at 600mm. Initial testing of the lens showed that it is back-focussing slightly on the Canon EOS 1D MkIV body. This was easily corrected with the AF fine-tuning adjustment in the menu system of the camera. I did not use this lens with the optional USB-Dock. I really wanted to test this lens and at the same time compare it to the others in this design group, in genre’s where the general user will apply this lens, so wildlife, birding and sport was on the testing menu. The very handy zoom range worked well in a sports environment where distance to subject changes constantly. Same applies to nature type shoots where the size of the subject and the distance can differ dramatically. Having the capability to zoom from 150mm to 600mm in a matter of seconds helps to make the most of the available photo opportunities. Sometimes those opportunities will not be repeated any time soon. 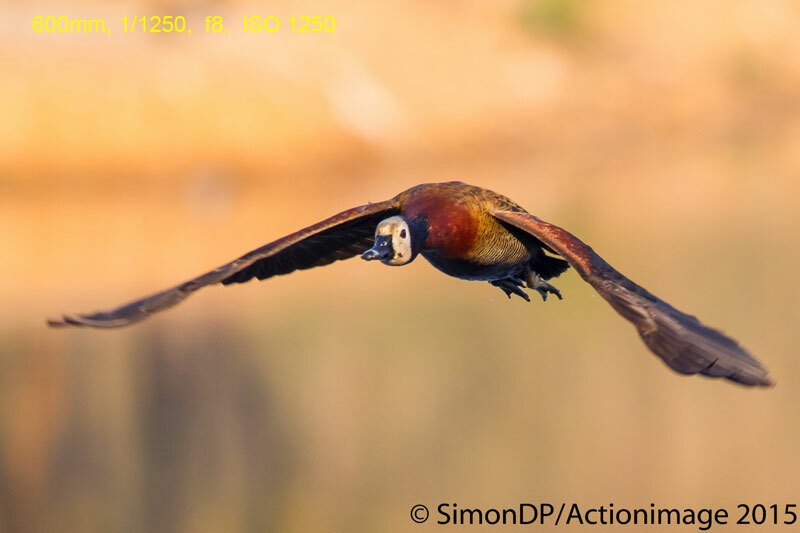 With a little practice, the user can track an incoming subject and zoom out at the same time in order to keep the subjects nicely framed in the viewfinder, typically with birds in flight or approaching racing cars, athletes etc. I found the autofocus to be very acceptable for a lens in this class. Single shot lock-on was fast and accurate enough, on par with the upper end 70-300mm type lenses and this from a much heavier and longer zoom lens. The single shot AF was fine for me in lower light levels too, not dropping in speed too much to be very noticeable. In really low light levels I did experience some hunting, but then again most lenses will do so in extreme low light conditions. Panning subjects across the field of view were also consistent with a high enough keeper rate of sharply focussed images compared to softer focus. Testing the panning on birds in flight as well as fast moving racing cars, I was certainly satisfied with the results. I would consistently get 65% very sharp images when panning birds or racing cars, and this figure can be higher still by selecting a high shutter speed, I prefer to be on the slower side for some creative motion blur in wheels, wings and background. 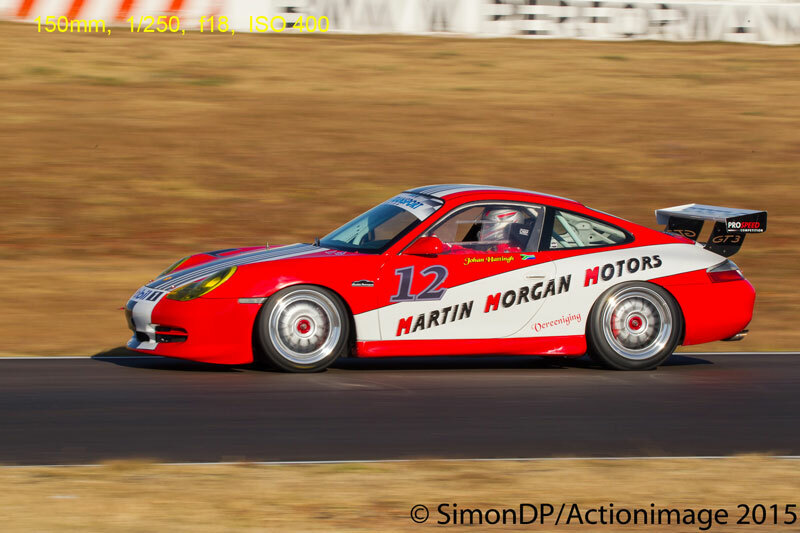 Refer to the Porsche 911 GT3 doing about 160 kph at this point and being rather close to the track means the in-frame speed is quite high, a very difficult test for any lens. 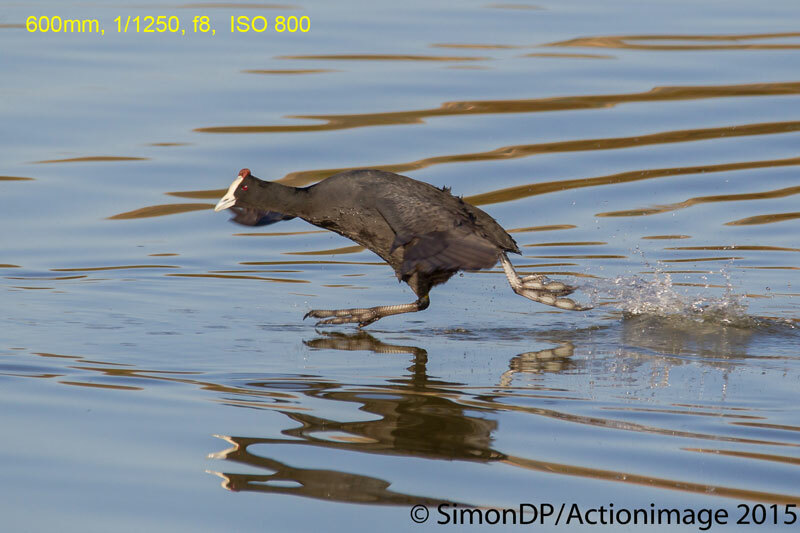 The Red-knobbed Coot sprinting across the water in typical fashion also provided a challenging situation. Tracking subjects heading straight towards the camera is probably the most severe test on AF accuracy and capabilities, and many expensive lenses fail to deliver in this regard. The Sigma 150-600 C performed as well as can be expected, and then some. Getting a good 35% in keepers from this very severe test is good for a lens in this class. 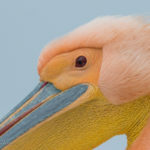 I managed about double the keeper rate from what I achieved using the Tamron 150-600. This to me is quite significant. Tracking racing cars at a distance is easier than tracking birds at a distance, mainly due to subject size and distance to camera, closer and smaller subjects (birds) being a more difficult subject. 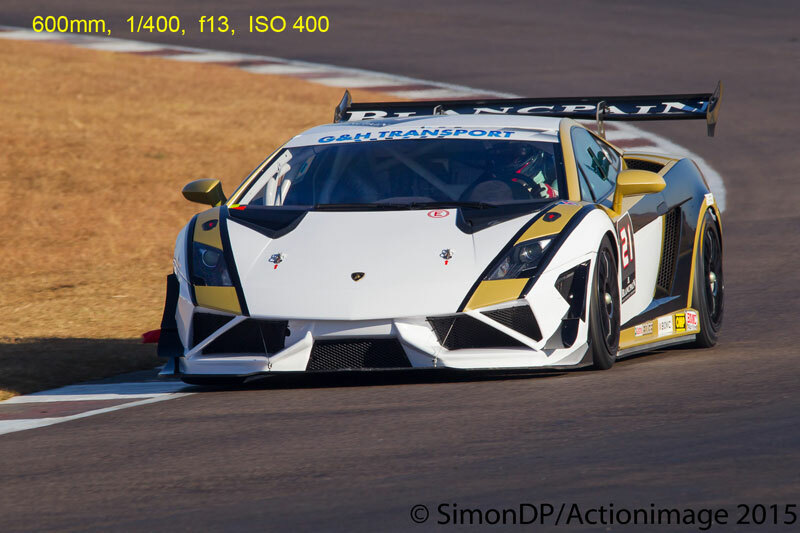 Tracking supercars such as the Lamborghini Trofeo was really easy, certainly more so than a fast flying White-faced Duck closer to the camera. 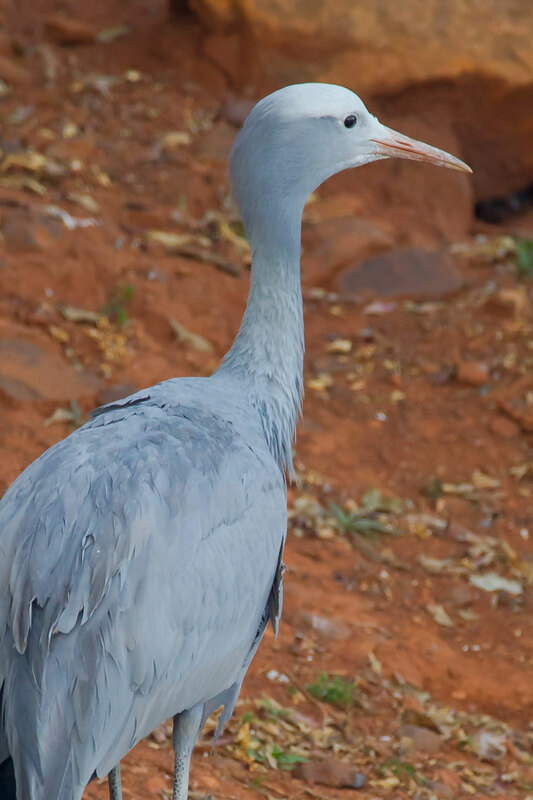 Both managed acceptable number of keepers, with the birds head-on not doing as well as the cars. Again I was suitably impressed by the overall results. 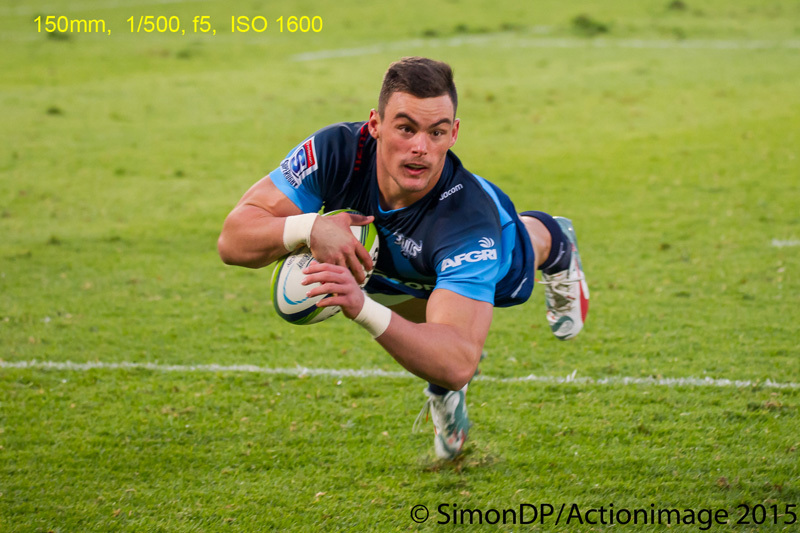 Using the lens during a Super Rugby match at Loftus Versveld, Bulls playing at home to the Cheetahs, I managed a seven-shot series of Jesse Kriel scoring the first try of the match right in front of me. Light conditions were still quite good, with some daylight still available, and the stadium lights not yet up to full power. This was really a good performance. However, when the stadium lights became the main light source, I had to switch to my Sigma 120-300 f2.8 lens, requiring the faster F-stop to get a high enough shutter speed at acceptable ISO levels. The table below is an extract from my Sigma 150-600 S review and adapted to include also the Sigma 150-600 C in direct comparison to the other two lenses. The scores are based on a scale of 1 to 10, where 10 will be the reference score for the winning lens in relation to the competitor. Assigning 10 does not imply perfect performance in all respects, only a comparison reference score for this side-by-side test!! The Sigma 150-600mm f5-6.3 DG OS HSM Contemporary lens offers the perfect performance capabilities of a lens in this class to the photographer on a tighter budget, and yet with the requirement of longer reach than normal. Well made, sufficiently fast autofocus, acceptably sharp when used wide open at maximum zoom, and good when stopped down at least 1/3 or preferably 2/3 stop. 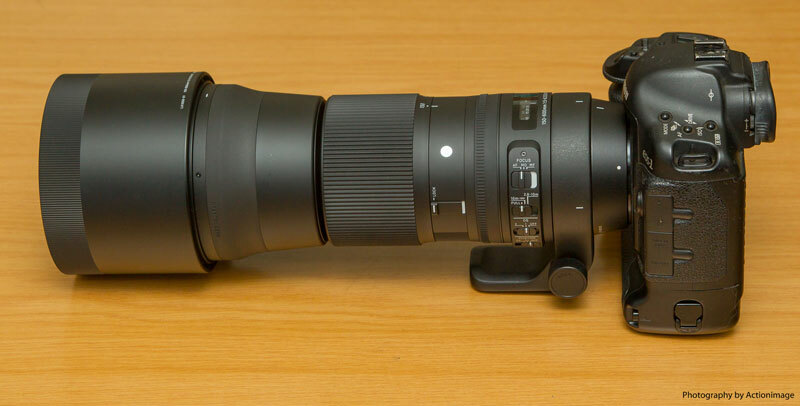 The budding enthusiast photographer on a tighter budget cannot currently do better than using this lens, unless he is prepared to spend about R10,000.00 more for the Sigma 150-600 S. It is the leading lens in its class. Many thanks to TudorTech (+27 11 803 2226) for arranging and making available the test lens. Thank you for the detailed explanation on the lenses. I like how you explained the different mode thoroughly. Will be playing around with these modes for the rest of the day. I work in a photo lab in Cape Town and this will help me in selling these lenses. Did the Tamron you used have the firmware update applied? Hi John, the first version of the Tamron did not have the firmware update. The second copy I used did have, I found it to be marginally better at tracking incoming subjects, but still a little too slow in updating focus. Erratic speed subjects is still its major downfall, more so in low light. What’s your view on the Sigma 150-600 Sport for motorsport? It certainly is good enough for most motorsports events with considerably faster AF tracking than the Contemporary or the Tamron offering. I love mine (S version), besides the one problem. It lurks in the dark of the cupboard mostly. 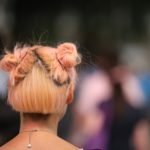 I am the owner of the 150 – 600 C. I enjoy my lense but surely after reading this review, I willadd value to my pictures. Thank you very much. Thank you I have just bought a 150 – 600 sigma lens and I really appreciate the down to earth way of explaining how the lens works. I have read the instructions that came with the lens but I did not find them as clear as your review. Can’t wait to start practising with it. 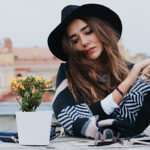 Thank you for the feedback – enjoy your lens!